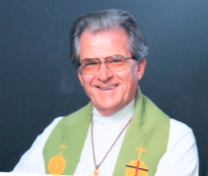 A Lutheran pastor for 58 years, Rev. Dr. Singer founded and served as president of the leading interfaith evangelism ministry in Washington, DC, served as Dean of the Washington and Baltimore districts of the Evangelical Lutheran Church of America (ELCA), and inspired thousands of people during his long service. Pastor Singer was perhaps best known as an inspiring preacher and speaker through his long career, continuing to preach long after retirement. One of his last sermons, delivered to the Center for Urban Ministry at a conference at Washington’s National Cathedral, paired him with the Rev. Billy Kyles of Memphis, Tennessee, (the last man to see Dr. Martin Luther King, Jr. alive), describing his role in the 1968 Washington Riot, where at great personal risk he kept his church open to serve the devastated community around it. During the turbulent 1960s, Dr. Singer served as senior pastor of Luther Place Memorial Church, one of the oldest churches in the nation’s capital, during a period of extreme change. Luther Place, founded as a church of national reconciliation following the Civil War, had provided more chaplains to the House and Senate than any other church. Lloyd Douglas, author of The Robe, had served as pastor there at the turn of the twentieth century. Now, Luther Place, located at Thomas Circle in the District of Columbia, was on the edge of the troubled 14th Street corridor. Shouldering the responsibility of leading the congregation through the change. Dr. Singer reached out to the interfaith community, founding and serving as first president of Massachusetts Avenue Mile, which included all Protestant, Roman Catholic, Greek Orthodox, and Jewish places of worship. He chaired the Inter-Lutheran Commission of Washington, DC. In doing so, he joined the leadership ranks of pastors searching for peace and reconciliation, meeting with Dr. Martin Luther King, Jr., Rev. Jesse Jackson, and other national figures. When the Rev. Dr. Martin Luther King, Jr. was assassinated in Memphis, Tennessee, in 1968, the rumblings of impending trouble reached Luther Place quickly, and placed Dr. Singer in a difficult situation. If he locked the church and walked away, the insurance would pay for any riot-caused damage. If he opened the church and served his community, the insurance would not pay. The chairman of the Luther Place church council, an executive with the insurance company, delivered the bad news by telephone. A delegation of Black Muslims arrived at the church to ask Dr. Singer what he would do. Upon being informed that the church would stay open, they said, “Then you’ll need help,” and provided guards to protect the church. “I’m going to keep the church open,” Dr. Singer replied. “You’re a fool, Jim,” the other pastor replied. ”I was afraid he might be right,” Dr. Singer later said. Nevertheless, he kept to his chosen course of action, and Luther Place became one of only five sites in the riot torn sections of the District to remain open. Over the three days of the riot, the church fed ten thousand people, clothed five thousand, and ministered to uncounted numbers, many of whom had lost homes, possessions, and loved ones. Although half the congregation left after the riot, Luther Place continued its transformation, building N Street Village, a $20 million social services complex, on land it owned around the church, and today offers an extensive range of programs for District residents with troubles. Dr. Singer passed away in April 2006.